We design and fabricate custom staircases as single steel stringers open risers, double steel stringers with open risers, wood boxed stairs, circular stairs. Capozzoli Stairworks is stairwell and railing contractor in PA, NJ, NY, DE and MD. WE DESIGN, FABRICATE AND INSTALL CUSTOM MADE STAIRCASES. OUR SKILLED TEAM ENJOYS WORKING WITH HOMEOWNERS, BUILDERS AND INTERIOR DESIGNERS. Contemporary staircase, stairway and railing fabricator and installer in NJ, PA, NY, DE and MD. 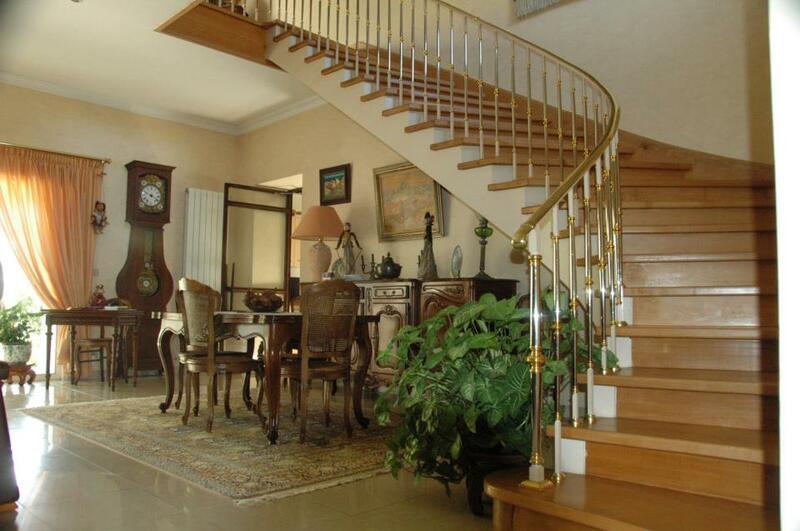 Popular products are curved stairs, single steel stringers or double steel stringers with open risers. Traditional boxed steel and wood stairs and ornamental railing designs, installation provided in Alpine, Princeton, Avalon, Medford , Cherry Hill inNew Jersey. WE LIKE TO BUILD CENTER PIECES FOR YOUR HOME WITH WOW EFFECT!